Classic with a modern difference. 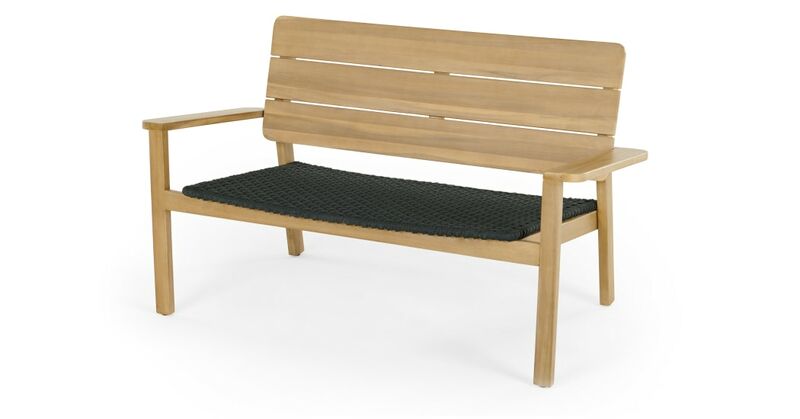 The Jala lounge bench combines the best of traditional style with unexpected touches to update your outdoor space. Crafted from light acacia wood, Jala has been designed in our MADE Studio. They’ve given this piece a woven seat for a luxe and comfortable finish. Fitted with a slatted backrest and wide armrests, Jala is stylish and contemporary. Invest in pieces from the wider Jala collection for a coordinated finish.